Growing in popularity, the recirculating splashpad is a closed circuit system that recycles and disinfects the water to and from the play area. Whimsical features dump and spray water from high above. 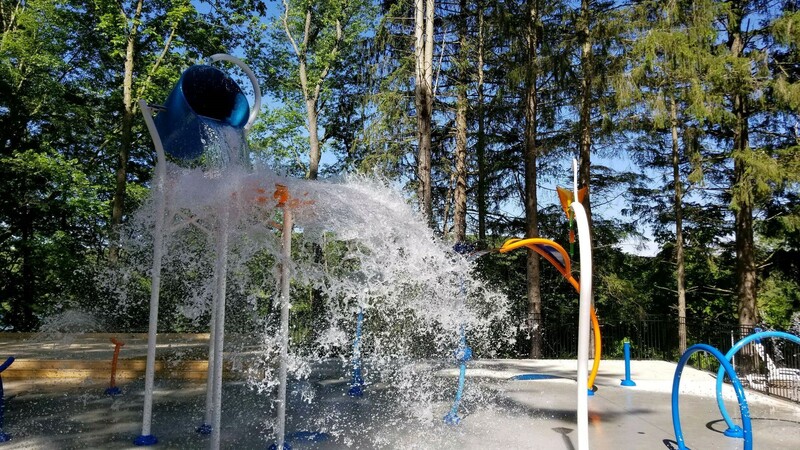 The largest of the 22 spray features at this splashpad is the massive SuperSplash™ that consists of a 25-foot high bucket that unloads a massive splash to kids below.